ASUS made a big splash when its Zenfone 2 released with 4GB of RAM. While that device earned praise for pushing boundaries, the flagship Zenfone 2 Deluxe came to the market with an incredibly unique and attractive look. We tested the Zenfone 2 Deluxe over two weeks and here is how the experience was with the company’s best mobile contender. The Deluxe earned more compliments than any smartphone we reviewed at Techetron. It never mattered where we went, people always wanted to take a look at the phone and just see the changing of colors up close. It was truly amazing how such a simple effect managed to gather so much attention. Almost everyone initially assumes that the back is actually a case, however when they take the phone in hand the realize this is the actual material the device’s back is made of. The polygonal pattern is not just for looks it also offers a lot of grip. The three-dimensional shape makes it very easy to hold the phone and the curve also helps to contour to your hand. My one gripe about the design of the phone is the fact that the power button is placed on the top edge which by now should be common knowledge for everyone, is the worst place to position a power or any button. The volume rocker on the other hand is found on the back of the device similar to those on LG smartphones. The buttons are all nice and clicky although I would have enjoyed a bit more of travel on the power button. Taking off the cover reveals the sealed in battery which is non removable. Other than that, you also get a glimpse of the microSD slot and the dual SIM slots. The speaker is found along the bottom. ASUS used a 13MP camera built by Toshiba for the main shooter and a 5MP sensor for the secondary sensor. Both the cameras have an aperture of f2.0 and thus perform admirably in low light situations. The camera application is simple and offers a bounty of features. You can spend a lot of time playing with the different modes but our eyes were locked on the manual mode for obvious reasons. Manual photography controls are becoming increasingly popular in smartphones and for good reason. ASUS did a splendid job and offers very granular control of the white balance, ISO, shutter speed, focus and exposure. The camera is fast to launch and speedy to capture photos. The results from the main camera were very nice. There was a lot of sharpness and good colour accuracy in the images. The camera swiftly focused on images and seldom overexposed. The front facing camera is much of the same, with very good quality images being produced. IPS displays are generally very bright but ASUS just barely misses the mark on the Deluxe. Often times the brightness was not high enough to view the display clearly on a bright sunny day. The lower end of the spectrum is fine though and the display is comfortable to use in the dark. Viewing angles are not spectacular but the Deluxe gets the job done. The display being used is a 5.5 inch Full HD IPS panel with a pixel density of 401ppi. ASUS used Gorilla Glass 3 to help keep the screen surface pristine and scratch free. The display initially appeared slightly faded to me however ASUS has an app called splendid that allows you to adjust the colour temperature to your liking. A few minutes later the display was adjusted to my taste and I had no complaints. The high pixel density makes images and text look sharp. After booting the device for the first time, you will quickly notice that ASUS has taken the liberty to preinstall as many of their apps as possible. The amount of bloatware initially took me by surprise however ASUS has added the option to hide the unwanted apps in the app drawer. It is quite unfortunate that ASUS installed so many applications as many of them are quite useful however the sheer number of apps may sway the casual user away from them. On the bright side, all the apps including the launcher and camera are available on the Google Play Store so you can try them all out right now if you please but do note that all smartphones may not be compatible. ZenUI runs on top of Android 5.0 Lollipop and is very smooth. The heavy skin looks nothing like stock Android but to each his own preference. Recent reports indicate the Deluxe will receive an update to Android 6.0 Marshmallow around April 2016. With 4GB of RAM, a powerful 2.3GHz quad core Intel Atom Z3580 processor and PowerVR G6430 GPU, you do not need to worry about performance. The Deluxe handled every game we threw at it with ease and was comfortably able to switch between intense games like Asphalt 8 and Modern Combat 5 without closing either. The model we tested also came with an unbelievable 128GB of storage which is expandable via microSD so you can download all the games and media you wish. The 3000mAh battery is non-removable but consistently lasted a full day. The various power saving modes can also help extend that. The Zenfone 2 Deluxe will cost Tk/-40,000 and will be sold by ASUS in Bangladesh. At this price, customers will get a well polished product that not only looks stunning but punches way above its weight. The Deluxe is a formidable combination of power and aesthetic appeal. It has a great pair of cameras however the display could have been just a bit brighter. At this point, the only missing piece is a fingerprint scanner but we are sure ASUS will attend to that demand in the near future. 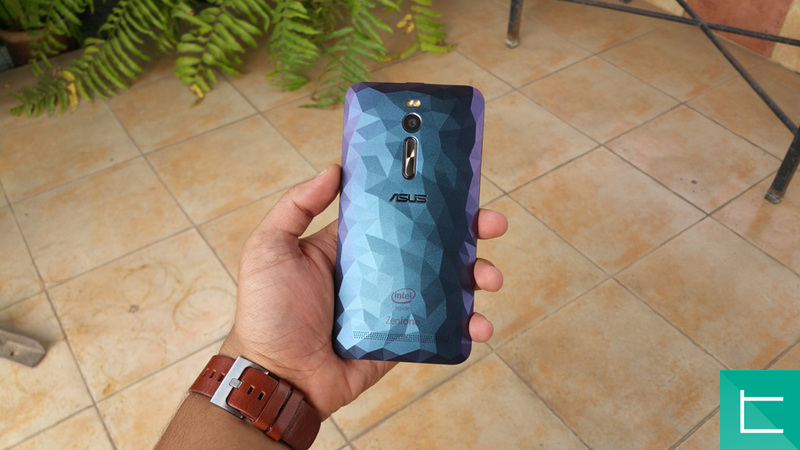 Our experience with the Zenfone 2 Deluxe was great and therefore we recommend the device wholeheartedly. Thanks for sticking around, we hope you enjoyed the review. Check out our video review to see the Zenfone 2 Deluxe in action. MWC 2016: Complete Archive of Smartphones Launched! Where is service centre of Asus in Dhaka?